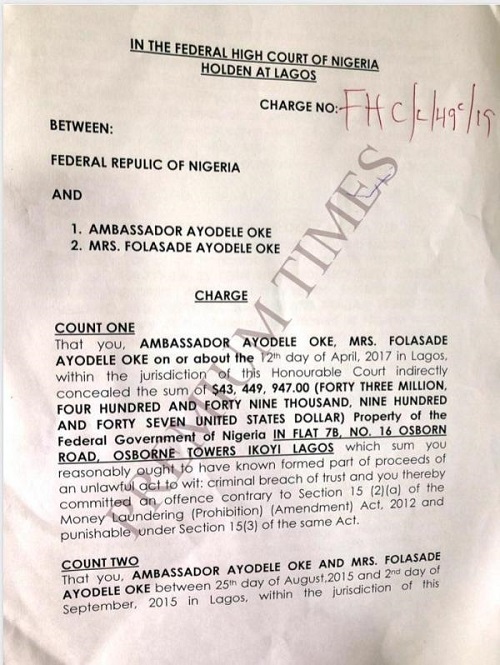 The Nigerian government has filed criminal charges against the former head of the Nigeria Intelligence Agency (NIA), Ayodele Oke, and his wife, Folashade. The defendants are facing a four-count charge of money laundering amounting to millions of dollars. Mr Oke was removed from office in October 2017 after millions of dollars belonging to the NIA were found in an apartment in Lagos. 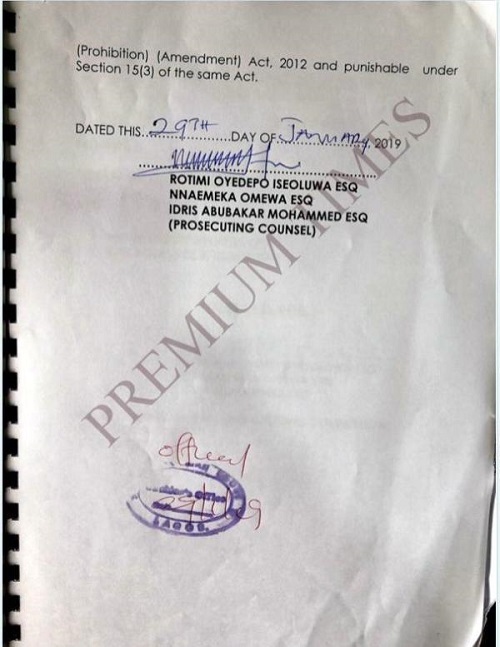 PREMIUM TIMES learnt Mr Oke and his wife will be arraigned on February 1 before Chukwujekwu Aneke, a judge of the Lagos Division of the Federal High Court. In count one, the couple were accused of hiding $43 million belonging to the federal government in an apartment in Osborne Towers, Ikoyi, Lagos. 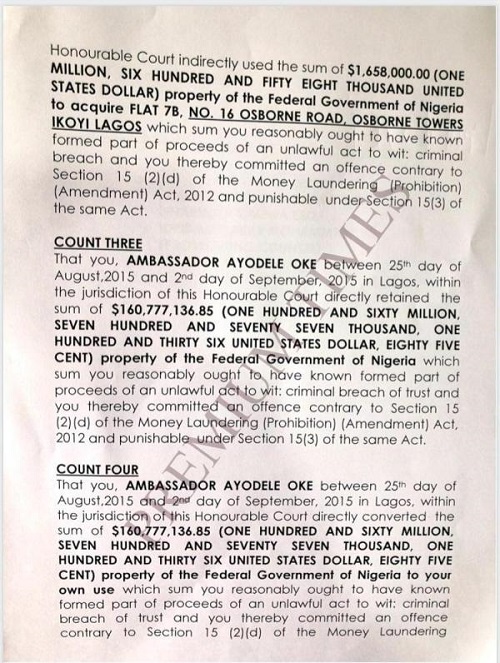 The second count stated that the couple indirectly used $1.6 million of government money to acquire an apartment in Osborne Towers, Ikoyi. The government listed 13 witnesses including those who would give evidence of how they received almost $300 million from the Central Bank of Nigeria and delivered to Mr Oke.